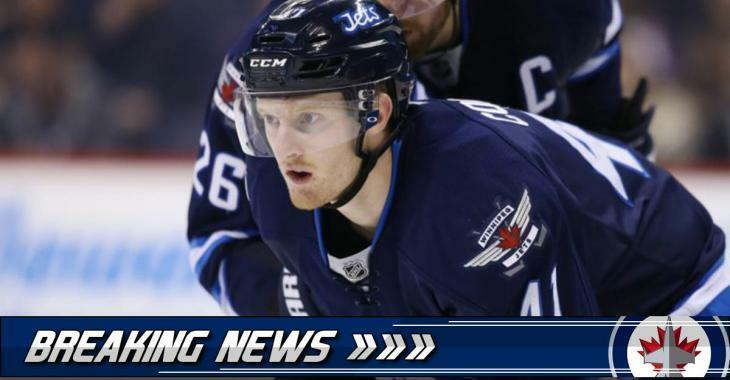 NHL News : Breaking: Bad news for Jets former first round pick! Breaking: Bad news for Jets former first round pick! Winnipeg Jets forward Kyle Connor will be out of the lineup tonight against the Ottawa Senators, head coach Paul Maurice confirmed after the team morning skate. The 20-year old forward is dealing with a lower-body injury. Connor, drafted 17th overall by the Jets in 2015, had 17 points in 21 games played so far this season. He started the season in the AHL with the Manitoba Moose, registering five points in four games before being called up. The Shelby Township, Michigan native played 20 games in the NHL last year, registering only five points. He had a strong year in the AHL, scoring 25 goals and adding 19 assists for 44 total points in 52 games. The Jets are playing in Ottawa tonight and in Detroit on Tuesday night.